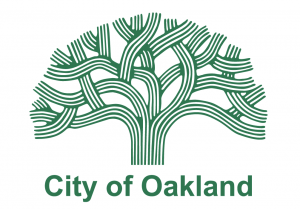 Oakland too little, too late? Oakland’s city and county officials voted in favour of entering negotiations to keep the Raiders in Oakland, by backing Ronnie Lott’s and Rodney Peete’s $1.3 billion proposal. The hard-won agreement will include $350million of public money, but nothing has been confirmed as to where, exactly, that money would come from. The City voted 7-1 in favour of entering negotiations whilst County was a bit more reticent, taking three hours of discussions to some to a 3-2 agreement. With The Raiders needing just one win to confirm their playoff status, it was also revealed that any proposal to move to Vegas would not be tabled until the team were out of the hunt for Superbowl honours (or as we optimists like to think, when they win it), rather than at the first opportunity on 2nd January. Over in San Diego, the Council was scrambling to save ‘their’ Chargers from moving with a proposal to lease the Qualcomm Stadium to the team for $1 per year, whilst talks for a new stadium progress. So what is it with local politicians in Oakland and San Diego? You’ve had months, no years, to come up with proposals for keeping your teams. So why leave it to the very last minute to get your backsides in gear? How can you be taken seriously if you value the teams so little as to only be galvanised when it looks like they are leaving?